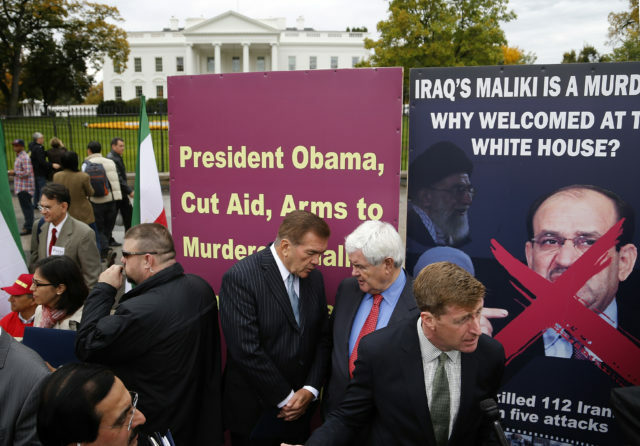 The MEK, a cultish Marxist-Islamist group responsible for the death of six Americans in Iran before the 1979 revolution, lost out in the post-revolution power struggle and fled to Iraq, siding with Saddam Hussein against Iran in the 1980-88 Iran-Iraq war. 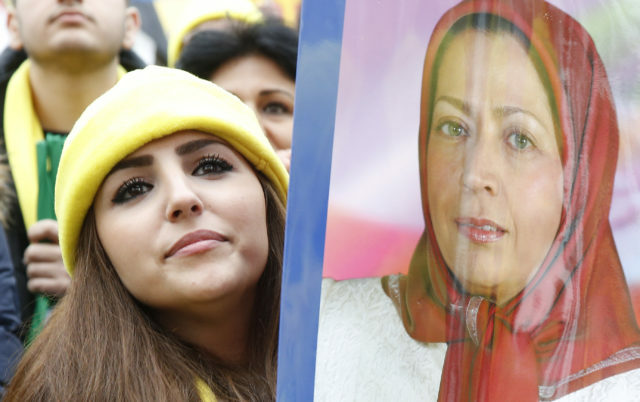 Maryam Rajavi, the widow of MEK leader Massoud Rajavi, lives in a compound outside Paris from which she directed a successful campaign to get the group off the U.S. State Department’s list of terrorist organizations in 2012. The prince knows well how much the Iranian government and the Iranian people detest the MEK, which until 2000 also carried out bombings on the streets of Tehran. Speaking in Paris – where he also said Iran was infected by a “Khomeini cancer” in a reference to its revolutionary leader Ayatollah Ruhollah Khomeini – could be a warning to Tehran to scale back its involvement in what the Saudis see as purely Arab conflicts or risk new internal security threats. Iran sees its regional activities in a different light and is particularly adamant in its backing for Syria’s brutal dictator Bashar al-Assad. The Iranian-Syrian alliance dates back 36 years to Assad’s father’s support for Iran – alone among Arab leaders – during the Iran-Iraq war. Iran now backs Assad to protect its conduit to Lebanon and the crown jewel of Iranian Arab allies, the Shi’ite Muslim militant group Hezbollah. What really got Saudi attention, however, was Iran’s more recent support for Houthi rebels in Yemen, a perpetually unstable southern neighbor of Saudi Arabia. Although Iran’s involvement in the Yemen conflict is believed to be minimal, it crossed the bounds of acceptability for Riyadh, which intervened militarily in Yemen last year in a so far unsuccessful effort to restore a pro-Saudi regime in the Yemeni capital, Sanaa. 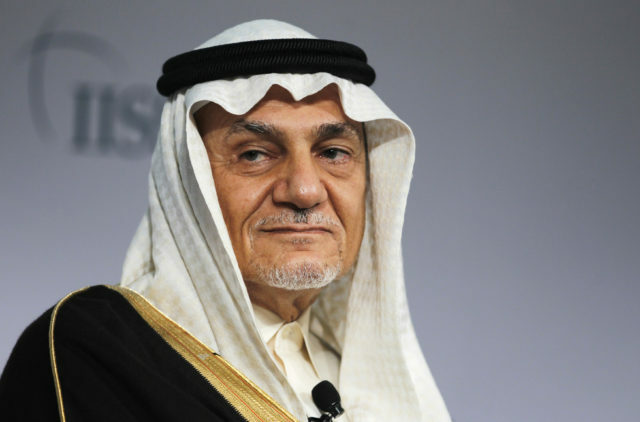 Turki’s endorsement of regime change in Tehran could be payback in this escalating proxy war between the world’s pre-eminent Sunni Muslim power and top Shi’ite Muslim power. In the Middle East, it is often said, the enemy of my enemy is my friend. The Saudis – and the United States — have a habit of supporting reprehensible groups in an effort to undermine even more frightening foes.